Summer Wedding – A New Bridal Trend! A new trend is here. A lot of brides have shown me their interests on special freestyle bouquets. They are not like the traditional/classic ones – with crisp round shapes, elegant, romantic… Freestyle bouquets are somewhat different. They look so natural and have a free-flowing look. They look as if they are “just picked” from a garden! I created a contemporary and natural styled bouquet for my client Sharon from New Orleans last week. Her outdoor ceremony was in Central Park NYC and she definitely wanted something colorful and natural. I ended up designing her the bouquet with 9 different kinds of flowers and various kinds of fillers / greens. I incorporated 1 stem of sunflower in it because she and her partner love sunflower a lot. That’s very meaningful to incorporate something that you love in your wedding bouquet. Personalize it if you do have any idea… Maybe a piece of lace from your mother’s wedding gown… Or a brooch from your first Valentine’s Day gift from your fiance. I also used 1 stem of delphinium in her bouquet because the touch of blue would make the bouquet stand out. Turned out the bouquet looked stunning and Sharon complimented on the bouquet that it was “absolutely breathtaking” and “unbelievable”! 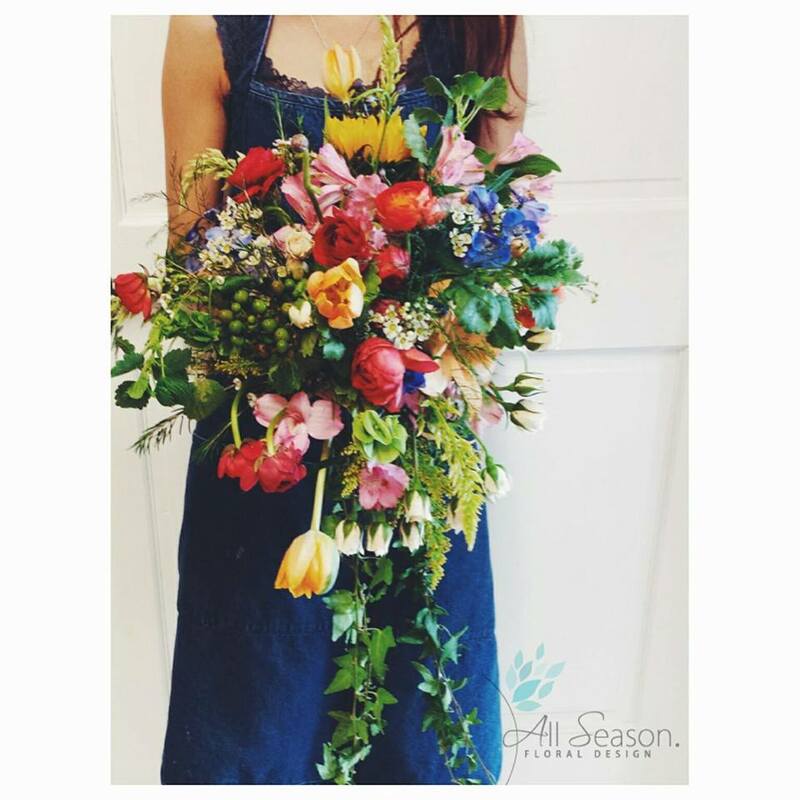 If you find that freestyle bouquet is something that fits your wedding theme, why not give it a try? I’m sure that your guests must be surprised of how beautiful it looks on you when you walk down the aisle. 24 Jul	This entry was published on July 24, 2014 at 9:43 pm. It’s filed under Weddings and tagged Bride, colorful, contemporary, freestyle, NYC Weddings, outdoor ceremony, sunflower, wedding bouquet. Bookmark the permalink. Follow any comments here with the RSS feed for this post. Newer: Eye-catching Wrapped Presentation Bouquet..